This is the second post in a series of two; you can read about four more schools that participated in the Feet First IWALK Challenge and read about this year’s IWALK Challenge winners. IWALK events can take many forms. Some schools plan for a one day event while others organize a month long campaign where students track their own trips. Many schools opt for the traditional walk-to-school event while others walk at school or organize a remote bus drop-off one morning. 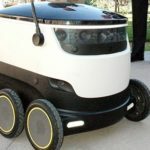 There is no right way to do IWALK as long as students are walking! Viewlands Elementary in Seattle, Washington was a panel favorite and although it did not receive a prize, the judges were compelled to award an Honorable Mention. 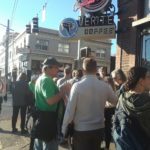 Their campaign was inclusive and incorporated a variety of ways for students to participate, including Walking School Buses, Frequent Walker Cards adding up to over 3,153 blocks, and a park-and-walk campaign. Prizes of active play equipment were awarded to the school as a whole based on participation. Viewlands made pedestrian safety a priority, sending out rules to families, practicing in the morning and inviting the Feet First chicken, Camina, for an all-school safety assembly. The program at Viewlands was in part supported by a Mini Grant from the Seattle Department of Transportation. 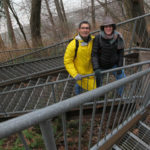 Apply for a Mini Grant this spring for next Fall’s IWALK. 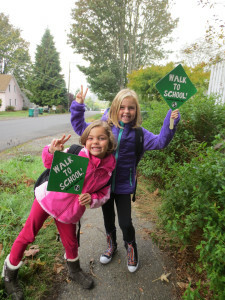 Last year’s IWALK Champion, Saddle Mountain Elementary in Mattawa, Washington again showed that they can rally a whole school district around Walk to School Day. Following a month long walking awareness camping in PE classes, over 1,300 students in the Wahluke School District walked to school on October 9th. Bus riders participated through a remote bus drop-off a mile from the school. Students were welcomed with treats, cider and hot chocolate. Everyone even stayed on bell schedule for their morning classes! The event included a wide range of ages with two pre-schools joining and as well as volunteers from the junior high and high schools. The day also saw incredible community support from the Grant County Sheriff Department, the County Health Department and the Mattawa Clinic. 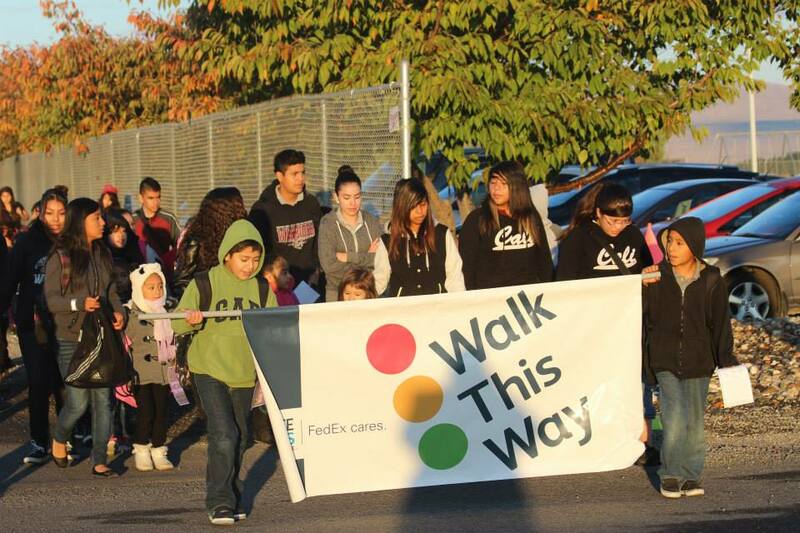 The Wahluke community will again come together later in the school year for a district-wide diabetes walk. Although Saddle Mountain did not receive a top prize this year, the judges awarded it Honorable Mention. 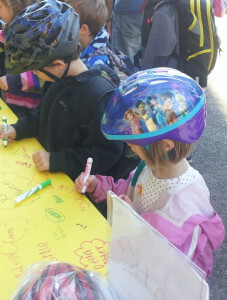 Bike to School movement, as was displayed by October’s twenty-five student long Bike Train. However, this year’s IWALK was an opportunity to rally walkers as well as bikers, and it was a success! Throughout the month parents organized four Walk ‘n Wheel events, which welcomed students in the mornings with healthy snacks, stickers and a poster for all to sign that was then hung in the hallway. Loyal Heights tied its event into the Seattle Kids Marathon, which gave students just one more incentive to walk to school. An emphasis of the program at Loyal Heights is sustainability. 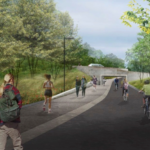 The school draws families from a tight geographic radius so there is strong potential to embed active transportation into the school culture. All the schools highlighted here were part of our Feet First IWALK challenge 2013. This in an annual contest that includes planning information and support for IWALK schools. It is not too early to sign up for the 2014 IWALK challenge! Sign up today and get a jump on IWALK 2014.